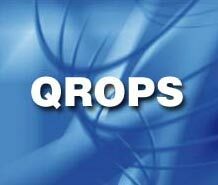 HMRCs efforts to restrict QROPS seem to have hit a snag before they’ve even been announced due to canny jurisdictions already finding ways around the proposed laws. Set to come into effect this April, the new rules were to stop jurisdictions from supplying expats with different schemes to those offered to native residents. However, it appears that an easy solution has already been discovered. Currently, expat individuals with a Guernsey-based QROPS pay zero tax on their pension income, as opposed to Guernsey residents who pay tax at a rate of 20 per cent. HMRC’s new requirements will see this change and for the same schemes to available to all, but Guernsey has found a solution- new pension rules to go in tandem with the existing rules. When the April changes arrive, both Guernsey QROPS will be available to both expats and Guernsey residents. Thus expats can opt for the new scheme and benefit from no income tax on the way out, and Guernsey residents can stay with the old scheme and benefit from tax relief on the way in. This system has been dubbed the “Gross-in, Gross-out legislation”. If other popular jurisdictions follow suit with similar initiatives as expected, then HMRC could find their restrictive plans scuppered. President of the Guernsey Association of Pension Providers (GAPP), Stephen Ainsworth, said “We have been working very closely with the Guernsey Income Tax Office and with senior politicians to create a flexible but robust pensions system which not only meets the needs of Guernsey residents but secures the position of those former members of UK pension schemes who have trusted Guernsey QROPS with their retirement savings. I am delighted with the result, which demonstrates the importance of pensions saving within Guernsey.